"Arabian Architecture at Its Finest"
On the Shindagha edge of Dubai Creek stands the former residence of Sheikh Saeed Al Maktoum, Ruler of Dubai from 1912-1958 and grandfather of Sheikh Maktoum Bin Rashid Al Maktoum. A historical attraction for visitors in Dubai, the late 19th Century Arabian architecture is appreciated by all. 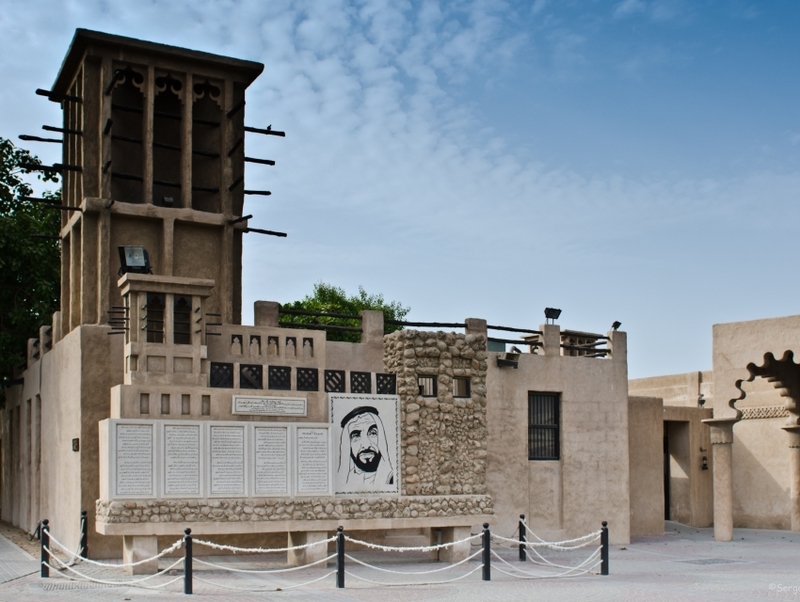 Built in the 1890s, the Sheikh Saeed House was once the seat of Dubai's local government. Today, tourists can observe a rare collection of historic photographs, coins, stamps and documents of Dubai's history inside the building. The building itself is an architectural jewel; not to be missed. For a small admission fee, H.H. Sheikh Saeed Al Maktoum House makes for an enlightening visit.